Sony’s upcoming Ghostbusters sequel is shellacked in a slimy gauze of secrecy, despite the nascent project already having a cryptic teaser. Just how will Jason Reitman’s vision will align with the one his dad, Ghostbusters director Ivan Reitman? How much time has passed? Is the EPA still bad? 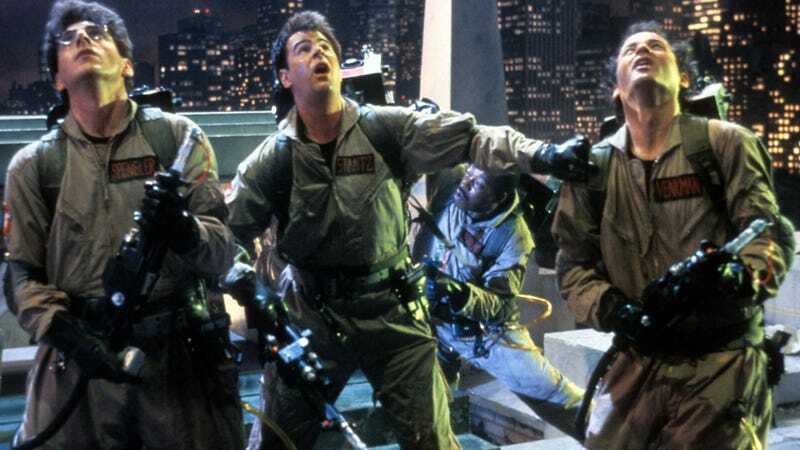 And, perhaps most importantly, will Bill Murray, Dan Aykroyd, and Ernie Hudson reprise their roles as the OG ‘Busters? Hudson sure seems to think so. Hudson, who played newbie Winston Zeddemore in Ivan Reitman’s original films and made a cameo in Paul Feig’s remake, told DailyMailTV yesterday that “everybody is in” for the new project. Hudson does clarify, however, that he still hasn’t heard from Sony. Daily Mail also quotes an anonymous source who claims that Aykroyd, who definitely isn’t this anonymous source, is the “driving force behind the new movie.” While Aykroyd’s been crowing about a sequel for ages, this assessment does align with recent comments from the actor, who said in November that a script was “being written right now” and that it was “a possibility” that he, Murray, and Hudson would return.